Hi it's Maggie...I hi-jacked Mike's blog again because he's on the road. I guess I could have waited for him to get back to Hurco, but I wanted to keep his blog subscribers up to date on the exciting news. 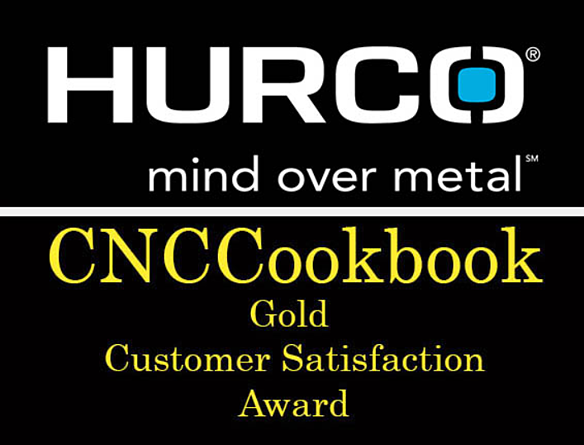 The machinists on the Facebook Group for Hurco Users posted that the Hurco control won an award. It's always uplifting to get some validation, right? Especially when our engineers work so hard to keep usability a priority and keep advancing CNC technology. To be truthful, I hesitated to just post the news of this award right away because past experience has made me a little cynical about "awards" (as the marketing manager, it seems like I'm approached monthly by "publications" or companies that say we won an award and then follow-up with the sales pitch on how much an ad will cost, video shoot, or "feature story"). I did a little research and it looks like this is legit. 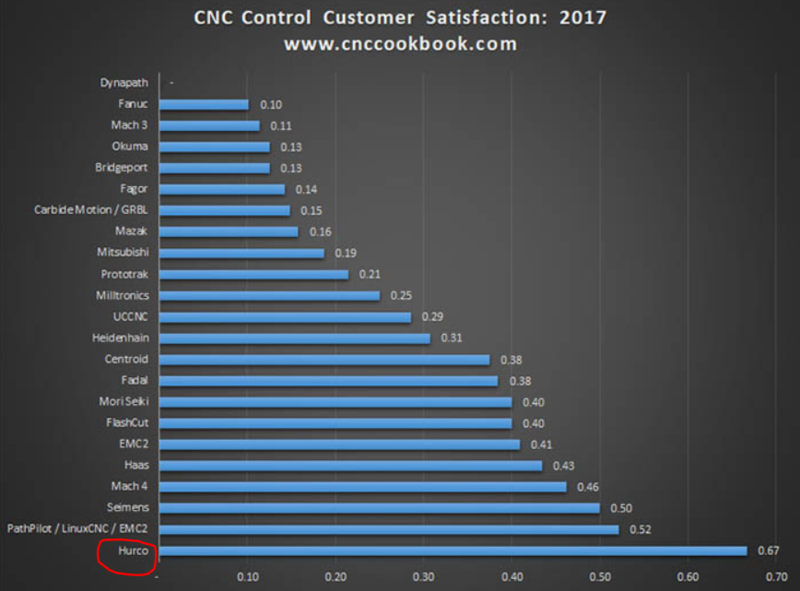 According to the owner of CNC Cookbook, there were almost 500 respondents to the survey he posted, his website gets about 4 million visitors a year, and100,000+ people subscribe to his email newsletter. In addition to our dedicated team of engineers, our customers deserve credit. They are are so generous with their ideas and motivate us to continuously improve a great control. We are sincerely grateful for the collaborative relationship we have with Hurco customers. Click on this link for the full story and survey results. Thanks for reading and feel free to share this post.